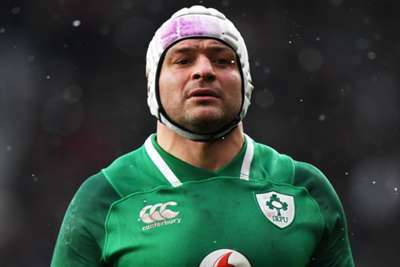 Rory Best felt an aggressive approach was the key to Ireland clinching a Six Nations Grand Slam at Twickenham. Joe Schmidt's men made it a memorable St Patrick's Day as three first-half tries secured a famous 24-15 victory over an England side who had previously won 14 on the spin on home soil. Garry Ringrose, CJ Stander and Jacob Stockdale all touched down to reward Ireland's dominance before the break, despite a spell in the sin bin for Peter O'Mahony. Captain Best revealed they had always planned to attack England from the start, with Ireland determined to seize the opportunity to claim just the third Slam in their history. "We knew it would be a really tough task to come here and win," Best told ITV Sport. "Right from the off we tried to attack England, both with and without the ball. It was a ferocious Test match right throughout. "Words cannot describe how delighted we are with that win, but also to clinch a Grand Slam. "We just had to make every moment count. Every single moment, then build them on top of each other and try to get as close to the perfect 80 minutes as we could. "We knew the reward would be worth the massive effort required." While Ireland had already wrapped up the title before the final match, Best said it was crucial to make a statement at the home of the deposed champions. "You have to give massive credit, not just from 1-23 today, but right throughout the 30-odd people we've had in camp throughout this campaign," he added. "The way they prepared us, and the way the boys went about the campaign, I don't think you can give enough credit to everyone. "The statement from us was to make sure we win something big. Ultimately in what turned out to be a cup final, we showed what we are made of."